This blog is about the uselessness of the comments sections of many business websites. Yes, I’ve been around long enough to know to never read the comments. News websites, especially local ones, have jumped into the Internet as a way to make money, save their business or just as a low overhead way to extend their reach. Comment sections help create a local online community. When a business has bad behavior in their store, their office, their bar, bad by their definition, they typically take action.Why don’t businesses do the same online? You moronic cyclists deserve what you get. I hope you, your wife, your parents, and your children die of horrible pancreatic cancer. Seriously, please die horribly. Not quickly. security would be called, the protagonists would be ejected from the building, if it the argument carried on outside, the Police would be called, arrests would likely to made. By doing this, was the business censoring free speech? Absolutely not, they were passing judgement, on acceptable behavior on their private property. They were, if they had any sense, protecting their business image in the local community, their brand image in the broader sense as well. While there are some businesses that would tolerate this behavior, most would not. Similar issues came up recently following the entirely legal behavior of “open carry” advocates here in Texas, a number of business now publicly ban open carry, even though it is legal and, like free speech, an amendment right. And so it was I went to read to day the news of a cyclist who had been killed. The article itself while deep on details about the cyclist, had no details of the accident itself, the cause, driver etc. So I read down into the comments. As a result, I’ve written this email tonight, and would encourage others to do the same. I attempted to find more direct email addresses, but this one should get answered, it is included on the Investor relations page. PLEASE PASS THIS COMPLAINT ONTO KURT WOLFF, Editorial Leadership and Content Strategy, at CBS LOCAL, or to another appropriate senior executive for review, and cc: this email address, thank you. Sir, I live and work in Austin Texas. I was drawn to the CBS Local Baltimore website as the result of a google query while research recent cycling deaths. 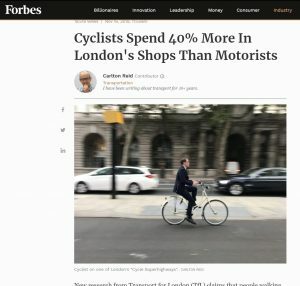 Irrespective of what I think about drivers and cyclists, the comments on this page are disgusting, offensive and bring shame to the CBS Local brand and the Baltimore affiliate. This not is about free speech, it’s about the shameful lack of moderation, oversight and appropriate behavior on CBS property. I would strongly encourage you to review the web page specifically and remove comments, or to shut down and block comments completely on a subset of your pages. Is this really consistent with what your brand stands for? Despite being an industry/Internet veteran, I was so appalled I stayed up late tonight to write this blog entry and complaint. Author Mark CathcartPosted on June 16, 2014 Categories technologyTags baltimore, cbs, cbslocal, cycling, cyclist deathLeave a comment on Free Speech, Censorship? This is an open appeal to my Austin Cycling friends and contacts. Please call Austin 311 and tell them to stop laying chipseal on the inner-city roads they maintain. The cities current double talk is just too confusing. They are heavily promoting a bike share program, they have a roadshow and are asking people to vote for locations to the bike share points. There are seven alone proposed in a strip of South 1st St, that was last night covered in chipseal. If you don’t know about chipseal, I couldn’t have done better than to built this website. Chipseal is a cheap fix, well thats what the city thinks otherwise why would they do it? South 1st is a mess today, and apparently more is scheduled tonight. The piles of loose stones, however temporary are dangerous to cyclists and pedestrians. Even the smallest fall on fresh chipseal will take a huge chunk from your hands. Leaving piles of loose stones in strips at the side of the road makes navigation and braking difficult to dangerous. S 1st is particularly irritating since as I understand it, its a city maintained road unlike S Lamar or S Congress. Please stop this now. 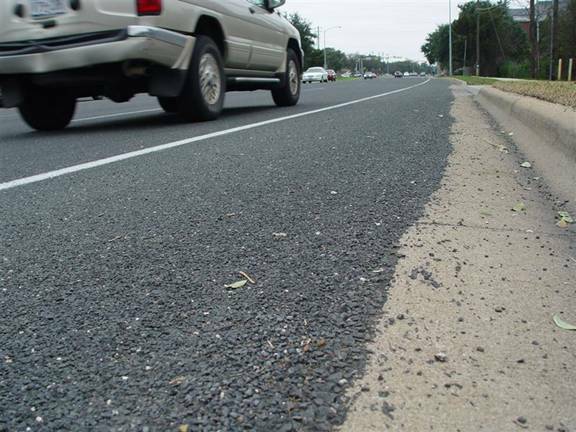 Chipseal damages car paintwork, glass, spreads dust and loose stones into the neighborhood and the road surface is noisier. By all means use this on Farm and Ranch roads that are lightly travelled, but urban roads that are heavily used, often by cars easily exceeding the speed limit borders on incompetent. Please call Austin 311, complain about the surface of South 1st. They’ll ask for a cross street, tell them W Mary or Elizabeth St. Feel free to give your name, or ask to be anonymous, which ever you prefer. Time to stop this nonsense. There are plenty of alternatives, and like when the city repaved S 1st down by Akins High School, it wasn’t obvious that anything needed doing, let alone dumping 2-ton of loose stones on a bed of hot oil.